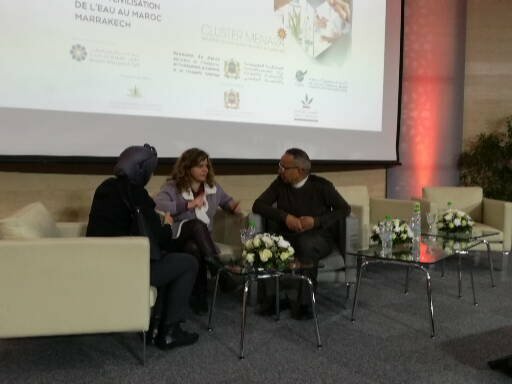 The members of the Medicinal and Aromatic Plants Group of CTFC attended the Congrès International de Valorisation des Plantes Aromatiques i Médicinales that was held from January 25 to 26, 2019 in Marrakech (Morocco), organized by the Cluster Menara. Moré, E. HERBARTIS: formation sur la production artisanal des plantes aromatiques et médicinales en Mediterranée. Marrakesh, 26th January 2019. Cristóbal, R. Valorisation des PAM & Gestion durable de la biodiversité: Programme ValuePAM, un projet transnational regroupant portugais, espagnols et français. Marrakesh, 26th January 2019. 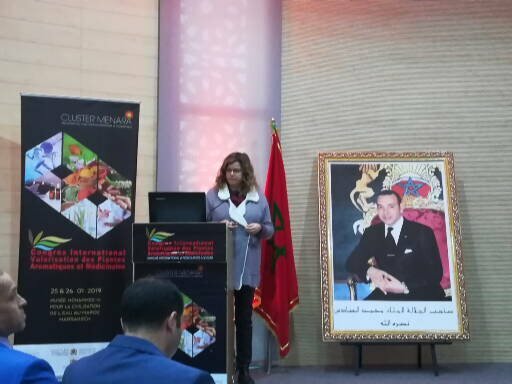 The participants of the congress, mainly researchers and organisations of dynamisation of the culture in the Region Marrakech-Safi, were very interested in collaborating with the CTFC, both for the fields of training and management of natural resources, because even today more than 90% of MAPs production in Morocco comes from wild collection.